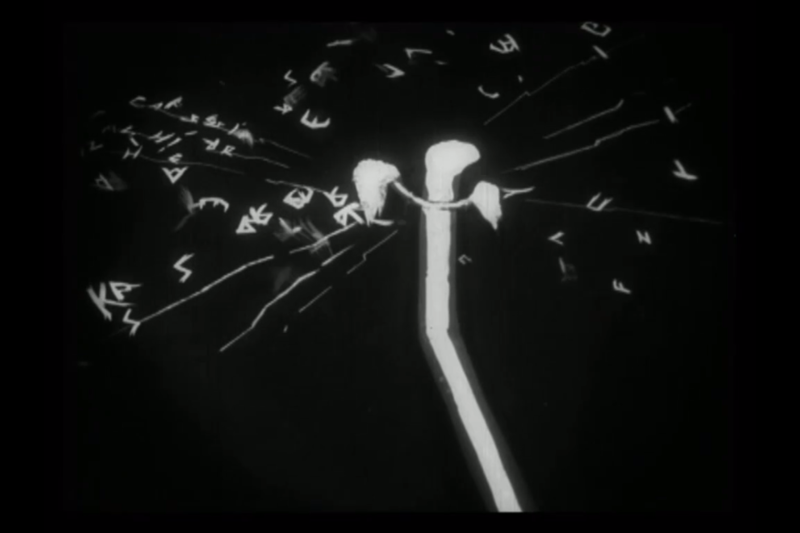 One of the first examples of kinetic typography (see also) I know of is J. Stuart Blacktons Humorous Phases in Funny Faces (1906) in which moving letters compose the title of the film (see). 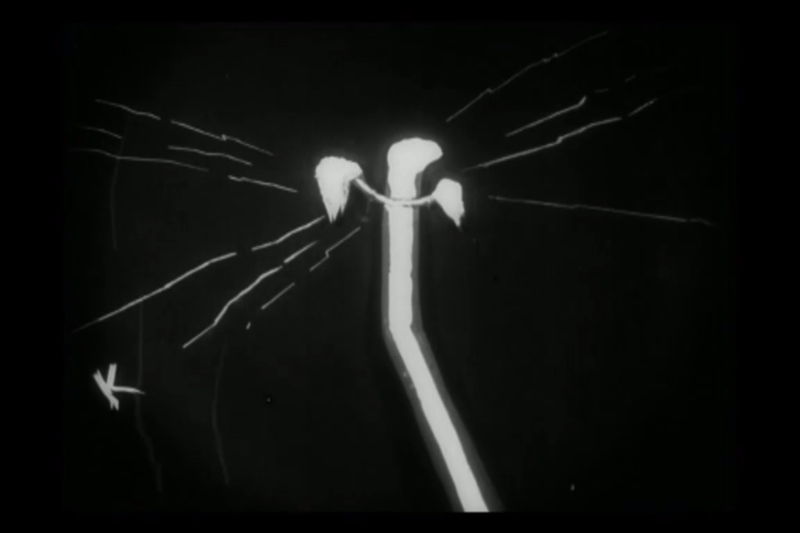 It was a convention in early animation films, that the film started with a hand drawing the scene, the hand withdraws itself gradually and the figures seem to move all by themselves. This moving by themselves’ is one also of the defining criteria of kinetic typography, the letters move by themselves and it is not clear who or what is the cause of their movement. Another example is from later date, Adolf Gärtner’s Des Pfarrer Töchterleins (1912) in which the content of a telephone conversation appear a written lines on the telephone wires. 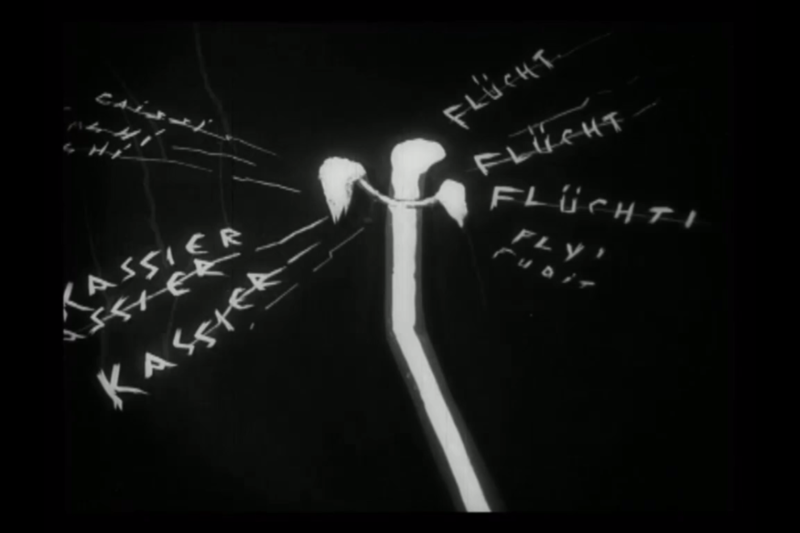 In the famous expressionist film The Cabinet of Dr. Caligari we see, the moment Dr. Caligari ‘becomes mad’, text lines appearing in the filmic world which tell him what to do: “Du musst Caligari werden” (You must become Caligari) (see). 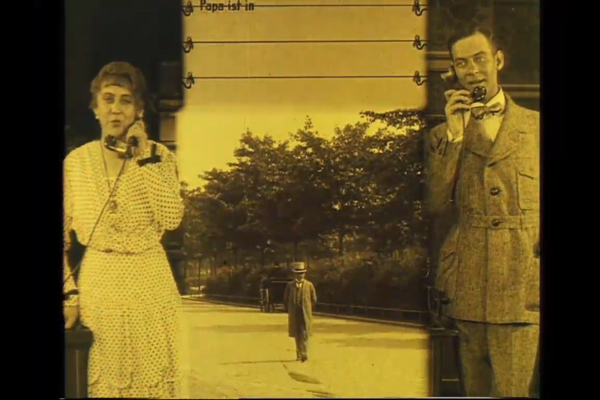 When the Cashier in Von Mitternachts bis Morgen (From Morn to Midnight ; Germany, Karl Heinz Martin, 1922) runs away with the money, we see the radio mast broadcast the search warrant Cashier on the run’. The text is built up, letter by letter, and at the end the sentences disintegrate into a mass of indistinct letters.